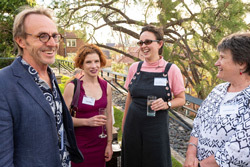 The 2019 Poets’ Picnic was held on Tuesday 26 February was a wonderful evening to celebrate the event’s 30th anniversary. 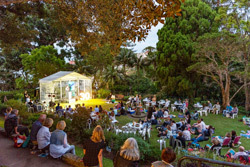 The weather was clear and approximately 280 people came and listened to poetry under the stars. Simon Marnie returned as emcee for his 18th year and The Hon. Gabrielle Upton read the first poem on the theme of Changes. The community thoroughly enjoyed seeing previous poets present as well as some new faces. Impressive performances were given by all, including local high school students from Ascham, Kambala, Kincoppal and Moriah’s College. 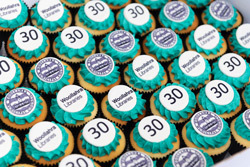 To mark 30 years of Poets’ Picnics, every attendee received a custom made cupcake. 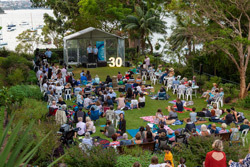 There was a great atmosphere enhanced by live jazz music, children’s games and activities, a light up '30' sign and delicious picnic food.